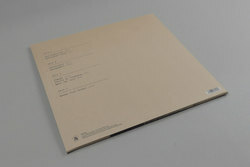 Laraaji - Bring On The Sun. Vinyl LP, CD. Bleep. Celestial navigator, laughter meditation practitioner and all around majestic mystic Laraaji continues his rejuvenation with a brand new album of deep drawing new age meditations. 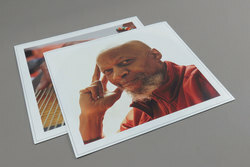 Bring On The Sun transcends the true meaning of the one of a kind genre that many define as simply 'Laraaji music'. 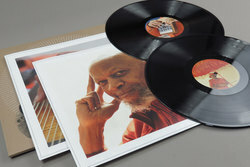 Back in 2013 when All Saints compiled Laraaji's sound defying Celestial Music 1970–2011 compilation, it coincided with a time when new age was receiving a much-needed revival that was being spearheaded by Finders Keepers with their extensive Emerald Web and Suzanne Ciani releases. 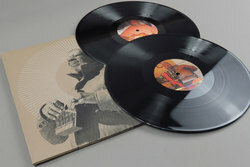 Laraaji's Celestial Music opened up many ears and minds to the unique sounds that he began crafting on the streets of New York in the 1970s and continues to do so to this day. From here his music grew to live within the record collections of many new fans who were encapsulated by his wonderfully calming sound. Bring On The Sun delicately bridges the gap between Ambient 3: Day Of Radiance and his recent collaborative recordings with Sun Araw. Recorded by Davey Jewell (Peaking Lights/Flaming Lips) and mixed by Carlos Niño (Leaving Records) the addition of these two highly skilled producers has meant that Bring On The Sun is sure to be heralded as a true crowning achievement within Laraaji's long lasting discography. Saving his very best work for his spiritual home of All Saints, Bring On The Sun plays out like the very best journeying ambient mixtape LP since The KLF's Chill Out. A patchwork blend of blissed-out percussive jams, reflective vocal hymnals, trance-inducing drones that create a dreamlike bubble that quietly floats away to unseen lands just over the horizon. A netherworld where the flowing atmosphere and warm glow of his music lightens up all atmospheres it is let loose within. 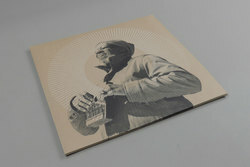 Bring On The Sun is a deeply moving trip into one man's never-ending creative journey through inner light, for those wondering where to start with this one of a kind artists it acts as the perfect entry point to his sound world, whilst giving his legions of dedicated followers some of the most refreshing sounds to have ever stemmed from his studio.